Every year, lost and stolen freight costs the logistics industry billions. Providers have struggled to find a viable solution—until now. PLM Industries has partnered with Ficosa/Idneo and IBM to build a first-of-a-kind freight tracking system that will provide end-to-end visibility, helping clients stay in control of their shipments at all times. 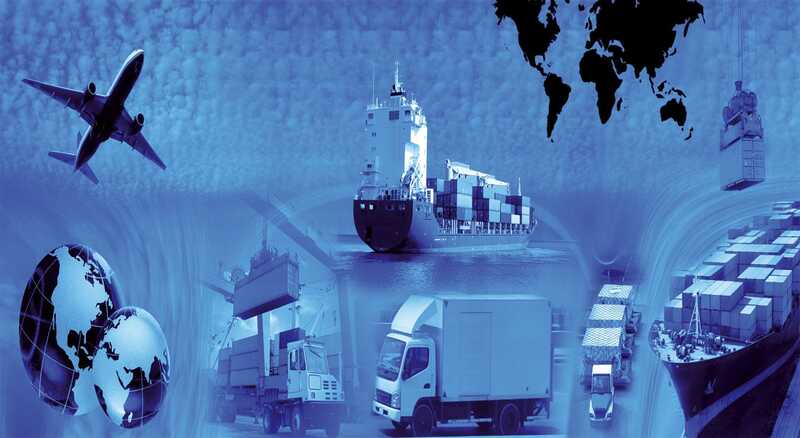 Lost and stolen freight is estimated to cost the logistics industry over USD 30 billion a year. PLM Industries had a bold idea to stop these losses—but needed help turning its concept into reality. PLM is working with IBM and Ficosa/Idneo to build the Smart Pro Tracking System—an innovative freight tracking system that provides real-time end-to-end traceability for every item in each shipment. PLM Industries had hit on a groundbreaking idea—but the company was going to need help getting it off the ground. After partnering with engineering firm Idneo Technologies to design the devices themselves, the startup turned its attention to developing key back-end functionalities—which is where IBM came into the picture. Vernice London recalls: “We took part in an IBM® Cloud™ Garage Design Thinking Workshop in San Francisco, which was an amazing experience. We came into it with a rudimentary UI and about a million ideas for possible features. The Cloud Garage team helped us see that we were going about things backwards—we had been caught up in our enthusiasm to solve all the problems of the logistics industry at once, when we really needed to focus on user needs and priorities. “Following the ‘design thinking’ approach helped us to pare our concept down to the core functionality we needed to create a minimum viable product [MVP] that would actually be useful for our clients, instead of giving them something with so many features that they would find it difficult to use.” Vernice London adds: “We didn’t just cover product design—IBM went out of their way to provide business acumen and helped us build business cases to make sure we translated our ideas into a profitable product.” After the IBM Cloud Garage workshop, PLM Industries built a click-through demo of the Smart Pro Tracking System that it could present to prospective clients in sales meetings. The team then selected the base functionalities needed to create a working prototype for an MVP, powered by IBM Cloud Data Services solutions. The Smart Pro Tracking System devices will be built on two foundational IBM technologies: IBM Cloudant® and the IBM Watson IoT™ Platform. Geolocation coordinates, temperature readings and other data captured by the devices will be transmitted to the Watson IoT Platform using the lightweight MQTT messaging protocol, and then stored in the Cloudant database. A fully managed NoSQL database service, Cloudant offers the perfect fit for PLM Industries’ use case. As data from the devices is sent in JSON format, using Cloudant means that this data can be ingested and stored in a JSON document store, without the need to convert it into SQL tables. And with PLM Industries planning to scale both geographically and in terms of transaction volumes, Cloudant can scale to meet these ambitions much more efficiently than most traditional relational databases. PLM Industries is gearing up to launch its MVP in mid-2017. The company already has several clients who are interested in trialing the product, and following a further round of development and feedback, the aim is to roll it out more widely. The PLM team believes that the potential market for the Smart Pro Tracking System is immense—beyond logistics providers and national retail chains, the devices could be used to provide baggage tracking for airlines, and many other use cases. PLM Industries LLC specializes in new technology development across a variety of industries, including automotive, communications, consumer products, and logistics. Founded in 2014, PLM Industries develops its innovative offerings with support from strategic partners IBM, Idneo, and Ficosa. To learn more about IBM Cloud, please contact your IBM representative or IBM Business Partner, or visit the following website: ibm.com/cloud View more client stories or learn more about IBM Cloud. © Copyright IBM Corporation 2018. IBM Corporation, IBM Systems, 1 New Orchard Road, Armonk, New York 10504-1722 United States. Produced in the United States of America, February 2018. IBM, the IBM logo, ibm.com, Cloudant, Watson Analytics, and Watson IoT are trademarks of International Business Machines Corp., registered in many jurisdictions worldwide. Other product and service names might be trademarks of IBM or other companies. A current list of IBM trademarks is available on the web at “Copyright and trademark information” at ibm.com/legal/copytrade.shtml. This document is current as of the initial date of publication and may be changed by IBM at any time. Not all offerings are available in every country in which IBM operates. THE INFORMATION IN THIS DOCUMENT IS PROVIDED “AS IS” WITHOUT ANY WARRANTY, EXPRESS OR IMPLIED, INCLUDING WITHOUT ANY WARRANTIES OF MERCHANTABILITY, FITNESS FOR A PARTICULAR PURPOSE AND ANY WARRANTY OR CONDITION OF NON-INFRINGEMENT. IBM products are warranted according to the terms and conditions of the agreements under which they are provided.